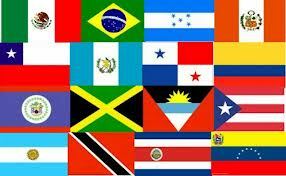 Hispanic Culture Research Papers examine the Hispanic population and culture in America. Hispanic culture research papers can focus on several aspects of the culture such as language, social constructs, family issues, immigration concerns and many other interesting sociological aspects of Hispanic culture. Have our writers custom write your project to save you time and assist in your understanding of Hispanic culture. America is living la Vida Loca as it enters the 21st century. Long proclaimed as a melting pot, the stew that is the United States is currently being flavored by salsa as the Hispanic population explodes and the culture takes on a Latin flavor. In music, in movies, on television, in the language, in the supermarkets and in “traditional” American neighborhoods, Hispanic immigrants, second- and third-generation citizens, and families whose ancestry came long before the Anglos are transforming society, changing the way we look, feel, think, eat, dance and even vote. This is an increase of 200 percent—comprising 24.5 percent of the total US population and making Hispanics the largest minority group in the Unites States. Hispanic demographics are growing at a rate seven times the national rate, driven more by natural increase rather than immigration. Such explosive growth cannot help but change America in the coming century. The Pilgrims landed at Plymouth Rock in 1620, attempting to carve a city on the hill out of the primeval wilderness, and the society they created shaped the American national culture for the next three centuries. It should be noted, that the town of Santa Fe (in present-day New Mexico) was founded in 1610. Spanish settlements in Florida, Texas, and California all predate English colonies. Indeed, such American place names such as Florida, California, Colorado, Rio Grande, San Francisco, Los Angeles, San Diego, San Jose, and San Antonio (to name a few) are all Spanish. One of the largest difficulties is that the label Hispanic “obscures the enormous diversity among people who come (or whose forebears came) from two dozen countries…” much in the same way “white” covers everyone from numerous European countries, “black” describes peoples from across the African continent, and “Asian” labels people from Japan, China, Korea, Vietnam, etc. In fact, Hispanics often disagree on what they prefer to be called. Many prefer Latino or the country of their origin (i.e. “Cuban” or “Mexican”). US News & World Report identified seventeen separate and distinct Hispanic subcultures across the United States. In California there are Immigrant Mexicans newly arrived in low-income areas such as East LA, Compton and Huntington Park; Middle-class Mexicans (two thirds of Latinos in the United States live above the poverty line); Barrio Dwellers, second- and third-generation families trapped in poverty; and Central Americans in Pico Union—the most poverty stricken area of Los Angeles—where the average family makes between $5,000 and $10,000 a year. Texas Mexicans (Tejanos) argue with their California cousins as to whose culture is more authentically Mexican. The main difference is that Tejanos have been in the United States for generations. In Texas, there are South Texans, living along the lower Rio Grande Valley (towns such as Brownsville and Laredo), the “most Mexican part of the United States” where Mexicans account for 80 to 95 percent of the citizenry; Houston Mexicans, working class residents of Houston’s barrios; and Texas Guatemalans, who are Mayan Indians. Chicago is home to the nations third-largest Hispanic population and is home to Chicago Mexicans, who arrived to work the steel mills in World War II, and Chicago Puerto Ricans, who have fared worse than any other Hispanic group despite being born US citizens. New York City, home to 3.6 million Neoyorquinos, is half Puerto Rican as well as home to Dominicans and Colombians. In Miami, Hispanics dominate “numerically, politically, and economically,” comprising 60 percent of that city’s populations, and while the majority (1 million) is Cuban, 40 percent of the Hispanic population is Nicaraguans and other South Americans. Miami is the only large US city with a Hispanic majority. Dade County’s total population of 2 million includes 669,000 Cubans, 110,000 Haitians, 74,000 Nicaraguans, 54,000 Colombians, 23,000 Mexicans, 23,000 Dominicans, 18,000 Hondurans and 16,000 Peruvians. Cubans are the largest and most vocal group in Miami. Some 20,000 refugees arrive annually in Dade County. The current controversy surrounding Elian Gonzalez illustrates the political power of Miami’s “Cuban Exile” community. Six-year-old Gonzalez was pulled out of the ocean by the US Coast Guard on Thanksgiving Day, after everyone else in his party (including his mother and her boyfriend) drowned. Elain’s father, who still lives in Cuba, wants the boy back and the INS agreed. Opposition from the Cuban community in Florida has blocked the boy’s return as of this writing. Massive demonstrations in Miami and Havana have turned one little boy into an international tug-of-war. Eighth Street (Calle Ocho) is the heart of Little Havana, where bodegas sell café Cubano, Nicaraguan gallo pinto, Colombian ajaico or Peruvian papas a la huanciana. There is also a “Little Haiti” neighborhood in Miami, where one can eat fresh lambi, shop in the Macaya Boumba voodoo shop and hear Haitian compas bands. Immigrant influx to these areas of South Florida is so great that the school system expands by one class a week, with the cost of bilingual education in Dade County reaching $73 million a year. One difficulty among Hispanics is internal discrimination. In addition to Anglo prejudice (“I’m tired of people thinking that I just came over the border,” laments Rosa Salas, a 21 year old Michigan State student. “I’m tired of people asking me if I got my green card or if I eat tacos every night.”) comes color-consciousness within the Latino community. Dominican-born author Junot Diaz explains: “Dominicans are anti-Haitian because of anti-African feelings; Puerto Ricans treat Dominicans like Americans treat Puerto Ricans.” In the heart of Miami’s hip South Beach, the nightclub La Covacha caters to “an upscale South American crowd” (i.e. light-skinned). Nicaraguans, it seems are considered “lower-class” and not welcome. But the most unique Hispanic group in the United States lives in northern New Mexico. Calling themselves Hispanos to emphasize the fact that they are not immigrants (in fact they are the oldest European culture within US borders), this group is descended from the original Spanish conquistadors and speaks a Spanish dialect that could be understood by Coronado. Migrant workers comprise the final Hispanic group. These travelers are attracted to meatpacking plants in Dodge City, Kansas, and egg farms in Turner, Maine. In 1996, 78 illegal migrants were arrested in Storm Lake, Iowa (pop. 8700), drawn to the hog-processing plant. Migrant workers are changing the face of Middle America; the INS arrested 2400 illegal aliens in Iowa and Nebraska alone in 1996, double the previous year’s count. The percent of students in Storm Lake whose first language is not English rose from 26 to 32 percent between 1993 and 96, out of a total school population of 1900. In addition to adding ESL classes, Storm Lake formed a diversity committee and an American Latino Center to help assimilate the new residents. In South Bend, Indiana, migrant workers have settled down and integrated themselves into the mainstream community. Organizations such as the Associated Migrant Opportunity Services (AMOS) have helped many settle permanently, enhancing the immigrants’ access to education, homes, stable jobs and “a full community life”. The number of Spanish-speaking students in South Bend area schools has tripled over the last seven years, 1743 students now comprising 16 percent of the student population. Such bilingual education cost $950,000 in 1999. Events such as Fiesta Michiana (held each August) and South Bend’s Cinco de Mayo celebration help make the Latino community more visible and accepted (York). Indeed, one can walk into a South Bend supermarket and find jarritos, pan dulce, chorizo, nopalitos, avocados, and tortillas. Quinceñera Themes - One of the most well-known cultural celebrations for Hispanic women is the Quincenera. Quinceanera - Quinceanera recognizes the 15th birthday as the point at which a girl is available for marriage and ready for adulthood. Latin American Culture - Latin American Culture research papers discuss the practices and customs in North, Central, and South America. Diversity Healthcare - Diversity Healthcare addresses the differences and the similarities of a diverse group of patients in society. Cultural Representations of Chicanos - Cultural Representations of Chicanos research paper analyzes the culture and gender roles of the Chicanos. Country Report on Cuba - Country Report on Cuba Research Papers discuss a preview of a paper order placed on Cuba with specific demographics that must be discussed. Fidel Castro - Fidel Castro research papers examine the revolutionary leader of Cuba that established a communist dictatorship, closely aligned with the Soviet Union. Cuban Embargo - Research papers on the Cuban embargo look into the embargo that prohibited Americans from traveling to Cuba, which remained firmly is in place until finally lifted by President Barack Obama in 2014. Thirteen Days: A Memoir of the Cuban Missile Crisis - Thirteen Days: A Memoir of the Cuban Missile Crisis outlines an important part of American History. Arizona's Immigration Law - Arizona's Immigration Law research papers look at both sides of the controversy that this law has caused. Paper Masters writes custom research papers on Hispanic Culture and examine the Hispanic population and culture in America.